First line: I wasn't thinking about the man who'd blown himself up. From the back cover: Her life is devoted to justice - for those she never even knew. 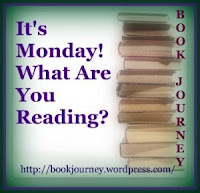 My thoughts: I have been watching the television show, Bones, for a few years now and I love it, so I decided I would read the series that the show is based on. Deja Dead is the first book (of 14!) in Kathy Reichs' Temperance Brennan series.The first thing I noticed is that television Tempe and literary Tempe are quite different - and I think this is what is going to help me in keeping the two separate as I definitely plan on reading the rest of the series and continuing to watch the television show. Writing what she knows (Kathy Reichs IS after all a forensic anthropologist who has lived and worked in the South and in Montreal), the character of Tempe is well-developed and the details of her work are rich and detailed. In this debut novel of the series, Dr. Brennan is on the trail of a serial killer with the help of homicide detectives, forensic dentist, autopsy technician and an FBI profiler. An endlessly suspenseful and incredibly smart thriller, the plot is complex and unpredictable, fast-paced, and layered with detail. Once I started reading it, I had a hard time putting it down. I can't wait to continue reading this series! I haven't done this meme in a while, but when I saw the question this week, I just had to participate. I am very fortunate to come from a huge family of readers and my husband does as well. I remember growing up always having books around us. My mother and father were both big readers and could always be found reading instead of watching tv. As we were growing up, we were always given books for our birthdays, at Christmas, at Easter, and for good report cards. I also have vivid memories of my dad reading the newest picture book he picked up at the dining room table - he was an elementary teacher and then principal and loved sharing his new books with us. Now that we are all older, we share book recommendations with each other. My two sisters and I tend to read similar books, as well as my mom, my mother-in-law and my aunts. Books are always being passed around between us. I occasionally read some books that my dad reads, so we tend to share books as well. My husband is also an avid reader - although him and I have very different tastes. But, we love nothing more than spending a rainy weekend on the couch, each engrossed in book we are reading. I am hoping to pass this love of reading on to any children that we may have! We went up to our cabin this past weekend which was so relaxing - no tv or internet up there. The weather was not the greatest, so I spent the majority of the time inside reading while hubby was out fishing and chopping down some trees. We did get in a great game of Scrabble - which I won (doesn't happen very often) so all in all it was a great weekend! First line: Dan says I should quit reading all those homemaker magazines. From the back cover: Linda Davis's local fabric shop is a place where women gather to share their creations: wedding quilts, baby quilts, memorial quilts, each bound tight with dreams, hopes and yearnings. My thoughts: This is a sweet, fun, heartwarming read that tugs at your heartstrings. Told in the first person by Linda, we follow her and her daughter, Molly on a road trip across the United States. It is a poignant tale of the struggles of mother and daughter as they separate when the daughter goes off to college. Wanting to spend as much alone time with her daughter as she can before starting school, Linda agrees to the trip, while all the while working on a quilt for Molly. As Linda pulls each scrap of fabric out of her bag to add to the quilt, we get a little history on both Molly and Linda and the important people and events in their lives. This was a quick read that makes you realize just how important the relationships we have with the mother-figures in our lives are and that we all leave an impression on all those we love. 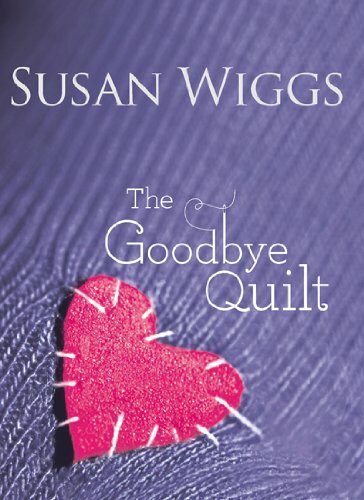 I received a complimentary copy of The Goodbye Quilt by Susan Wiggs from Eric at Planned Television Arts. First line: "I've got the backbone of a worm," Lacey Lancaster muttered as she let herself into her apartment. From the inside cover: Lacey Lancaster has always longed to be a wife and mother. However, after a painful divorce, she decides it's time to lay low for a while in her charming San Francisco apartment with her beautiful Abyssinian cat, Cleo. Everything would be wonderful, except for her utterly impossible neighbor Jack Walker. When he's not arguing day and night with his girlfriend, begging her to move in with him, he's chasing down his cat named Dog, who seems determined to get Cleo to succumb to his feline advances. Then Lacey discovers the awful truth - Cleo is in the family way and Dog's to blame. She's furious that neither Jack nor his amorous animal seem too upset about the situation. But Lacey learns that things are not quite as they seem. Jack's "girlfriend" is really his sister - and his intentions toward Lacey are very honorable. And though she's not quite sure about Dog, Lacey begins to discover the tender joy of falling in love all over again. My thoughts: This was an enjoyable, lighthearted, quick read that I devoured in about an hour. It's a sweet story about finding yourself and learning to trust again after heartbreak. As a novella, it was only 99 pages, and so it's rather hard to fully develop the characters, but they were still fun to get to know and watch. It's your typical boy meets girl, girl doesn't like boy, boy and girl eventually fall in love. Thrown into the mix are the two cats - Cleo and Dog - who inevitably cause Lacey and Jack's relationship to start. 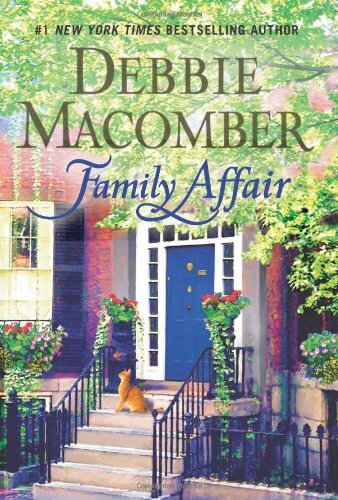 Debbie Macomber is known for her stories about relationships and I think, while extremely short, Family Affair does indeed fit the bill. First line: "He reads Mario Puzzo," Suzanne murmured, focusing on a couple that was eyeing each other warily. 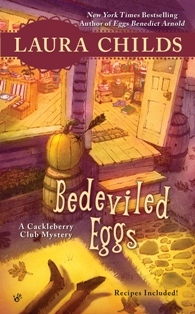 My thoughts: This is the third in Laura Child's Cackleberry Club mystery series and it was a fun, quick read. I wish there is a place like the Cackleberry Club in my town or nearby - a cafe, book store and knitting store all in one - I would be in heaven! Owned by Suzanne and her two best friends, Toni and Petra, they seem to find themselves in the middle of murder investigations over and over again. This time, after successfully hosting a "read dating" event (think speed dating but matches based on the types of books one reads), a murder happens right in the Cackleberry Club's backyard. Then while trying to figure that one out, another murder happens that Suzanne and Petra come across while visiting the places on the Quilt Trail. Not one to idly sit around and do nothing while a murderer is on the loose, Suzanne starts looking into things, egged on by Sheriff Doogie's silent pleas for help. Despite a few death threats because of her snooping, Suzanne continues looking into things, all the while having her new "beau" Sam standing by her side to provide support. While the ending was a bit abrupt for my liking, I am eager to visit the Cackleberry Club again soon and find out what is new with the characters. For now, I will have to pass the time until the next one comes out trying the delicious recipes found at the back of the book...yummmmm!!! Thank you to the author for sending me a copy of this book to review - I thoroughly enjoyed it!!! First line: "What do you think?" Jenna Stevens asked, doing her best to sound confident. From the back cover: After nearly a decade as a sous chef in a trendy eatery, Jenna is desperate for a change. She's supported her ex-husband's dreams for so long that she can't even remember her own. Until she sees a for-lease sign near her parents' home and envisions her very own cooking store. Her crash course in business is aided by a streetwise store manager and Jenna's adoptive mother. But just as she's gaining a foothold in her new life, in walk her birth parents - aging hippies on a quest to reconnect with their firstborn. 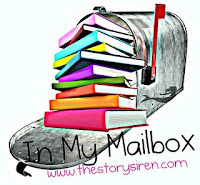 My thoughts: I have always enjoyed Susan Mallery's romance books, and while Already Home is more women's fiction than romance, it was just as good. When Jenna's husband betrays her, she leaves her life and career as a sous-chef in L.A. to return home to rebuild her life. She decides to switch gears and opens a cookware store where she meets a bunch of characters (some family, some friends, some customers) who play important roles in her coming to terms with the cards life has dealt her. The story is all about her reluctantly getting to know her birth parents, as well as herself, better. It's about family and how much love there is to go around. I love the way Susan Mallery tells this story. She makes you think about life's twists and turns. Even though things change, the love of family and friends is most important in your life. The story revolves around relationships between women - Jenna and her adoptive mother, Jenna and her birth mother, Jenna and Violet, and Violet and Jenna's two moms. I felt that Susan Mallery handled the touchy subjects of adoption, birth parents, spousal abuse and physical abuse with care all the while keeping the storyline light and fast-paced. I read this book in a day, staying up late into the night to finish it, laughing and crying throughout. 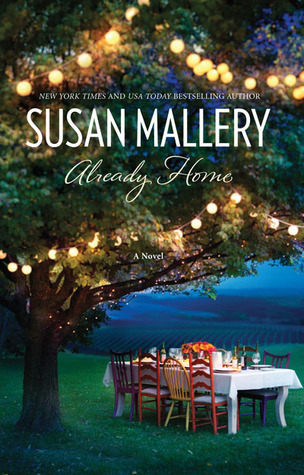 I received a complimentary copy of Already Home by Susan Mallery from Eric at Planned Television Arts. It was a pretty productive week last week and I'm hoping this week coming up will be the same. We are heading up to our cabin this weekend which usually means lots of quality reading time - starting to think now of what books I want to bring with me! 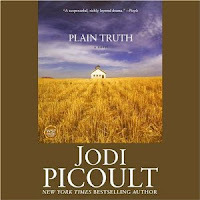 From back of audio case: From critically acclaimed, New York Times best-selling author Jodi Picoult comes a novel hailed as "absorbing and affecting" by Entertainment Weekly. Plain Truth is the engrossing tale of a murder that sends shockwaves through Pennsylvania Amish country. Eighteen-year-old, unwed Katie Fisher is accused of birthing and then smothering her baby at the family dairy farm. But not only does Katie claim her innocence, she also says she didn't even bear the child. Enter high-profile Philadelphia lawyer Ellie Hathaway, who may be Katie's only hope. A moving dual narration by two of Recorded Books' finest voices, Christina Moore and Suzanne Toren, is the perfect compliment to this powerful novel. Many other of Picoult's exceptional and extremely popular novels are also available from Recorded Books. My thoughts: I love Jodi Picoult's books and it seems they are the perfect books to listen to on audio because they always involve such compelling, controversial and timely topics. The stories grab you and hold your interest as you listen to the narrator(s) tell the tale. Plain Truth is the story of a murder, a mystery, lost love, family strife, but most of all, the search for the truth. It is a very intricate and richly detailed story of Amish life and a court case that shocked the small town of East Paradise. As it moves along, little snippets of the mystery are revealed bit by bit, keeping you hooked right from the beginning. The story is told from the viewpoints of two very different women: 18-year-old Katie Fisher, an Amish girl who gave birth to a child out of wedlock, and urban defense attorney Ellie Hathaway, who has emotional issues of her own. The two worlds collide when Ellie is forced to lived with the Fisher family on their Amish farm. I love when I read a book that gives me insight into another culture. The complexity of Amish life is quite surprising and lends itself to an interesting background for a story. The benefit of listening to the story is that when any of the Amish would speak in Deitch (a German language some Amish speak), I could hear it as it would be pronounced and not what I would stumble around with. This is the third time I've picked the audio version of a Jodi Picoult book over the physical book and I have not been disappointed. All her books stay with you long after you finish the last page or hear the last line and this one is no exception. First line: I am not a sentimental guy. Synopsis from Barnes & Noble: On the anniversary of his beloved wife's death, Dr. Michael Everett receives a letter Hannah had written him. My thoughts: One of the things I love about Debbie Macomber is that her books always leave me with a warm feeling in my heart and this one is certainly no exception. While there is sorrow in this book, it is much more than that - it's about survival and learning to live again after the death of a spouse. Hannah, diagnosed with stage 4 ovarian cancer, knows her time is limited so she writes her husband a letter saying that she wants him to get on with his life and find happiness and love again. He is given this letter on the one year anniversary of her death. Michael is, of course, totally thrown by this. Not only does Hannah want him to move on but she includes in her letter a list of three potential possibilities. In trying to respect Hannah's final wish, Michael does go out with each woman - women who all have a link to Hannah. As he gets to know them, he learns about himself and his wife all over again. As for the three women, they are all struggling to find their way in their own lives and we get snap shots of their lives as the book progresses. I love that some of the characters from Debbie Macomber's Blossom Street series make cameos in this book - it's nice to get brief glimpses of some characters we've come to know and love, and while this book does center around Blossom Street, it can stand alone. I truly enjoyed this book - it was a fast-paced read, yet really gives you something to think about. If you were in Hannah's position, would you leave your spouse a letter telling him/her to move on and would you leave them with a few suggestions for doing just that? 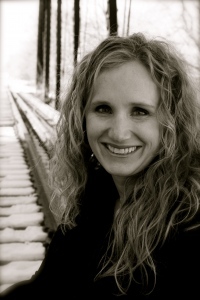 Please join me in welcoming Nell Walton, author of the new book, The Bone Trail to Always With a Book! If you missed my review, you can read it here. Today Nell talks about the use of dialog in fiction. I don’t know who is talking with out the dialog tags. I have to go back through the conversation to see who is saying what. You should never put dialog tags when there are only two people speaking. The reader should be able to sort it out! You speakers don’t have their own ‘voice.’ Different people speak differently, just listen to the way that people talk in real life and you will start to see the difference. Just copy that in your fiction, the reader will understand. As a reader the only complaint that I have had is with the first one. So many times I have had to go back and count paragraphs to see who is speaking while reading novels, especially in the past five years or so. The rest never really bothered me, as either a reader or an author. So, how did I solve this dilemma? I went back and reviewed how some of my favorite authors handled dialog to see what method would work best for me. The second thing I did was to review how many times I had used a name in the dialog. It was excessive, so I took steps to put the name tags outside of the dialog itself, while only using the verb ‘said’ which readers slide over very easily. I also decided that my writing style doesn’t work well with trying to replicate verbal dialog with exactitude. Some authors can do this and do it well (Annie Proulx for example), but I am not one of them. So, what it boiled down to was that I decided to stick with my own gut feeling as to what works for me. I think when push comes to shove that is all any author can do. My editor heartily agreed with me when she got the final draft, so I guess I made the right choice. About the author: Nell Walton is an avid horsewoman and also owns two wild horses, both of which came from a herd near Elko, NV. 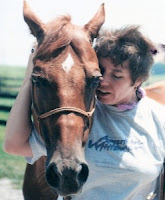 She is also the founder and managing editor of the online equestrian news magazine, The AllHorses Post. She has degrees in journalism and biology from the University of Arkansas, spent many years as a professional journalist and worked as an intern for former President Bill Clinton when he was governor of Arkansas. She lives in East Tennessee on a small horse farm with her husband, four horses, one donkey, two cats and two dogs. The Bone Trail is her first novel. Thank you Nell for contributing this great guest post, and thanks to Jaime at Pump Up Your Book for coordinating it. First line: On the afternoon of the last day of Lindy Abraham's life, she stood leaning against an old Jeep Cherokee, once red, now faded to kind of a dusky umber, tapping her heel impatiently against a tire. From the back cover: Inspired by actual events, The Bone Trail is the story of investigative journalist and horsewoman, Kate Wyndham, who is sent to northern Nevada to do a story on the disappearance of two wild horse advocates. When Wyndham attempts to gain information from the FBI and local authorities she is stonewalled. She turns to Jim Ludlow, a local rancher who lives on an Indian Reservation near where the advocated disappeared. Ludlow, a Shoshone Indian horse "whisperer" agrees to try to help Wyndham and they begin a search for answers that may cost them everything they hold dear - it may even cost them their lives. My thoughts: I have always had a fascination with horses and so when I saw this book, I jumped at the chance to read and review it. While it is written as fiction, it is based on what is happening to the American Mustang out west. Not knowing much about this, I was at times appalled to see the treatment that was occurring to these wild horses. The passion Nell Walton has for them pours off the page. The descriptions of the settings are breathtaking - I felt as if I was right there along with Kate and Ludlow as they traveled along the reservation looking for the missing advocates. The love story between Kate and Ludlow was evident from the moment they met, yet Nell takes her time building the relationship between the two. This is a story that is filled with mystery, suspense, historical detail and romance. I had a hard time putting the book down once I started it, yet I didn't want to see it end. I felt like I had come to know these characters as the story went on and I hope one day to be able to revisit them in a sequel. 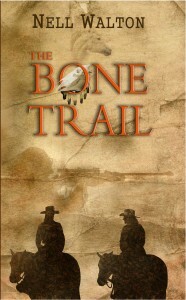 I received a complimentary copy of The Bone Trail by Nell Walton from Pump Up Your Book Promotion as part of the tour. Spring finally seems to have come to the Northeast and I am able to enjoy sitting on my enclosed porch in the afternoon sun and read! While last week was busy with workshops and trainings for work, I was still able to get quite a bit of reading in. Hopefully the trend continues as my tbr piles aren't getting smaller fast enough! First line: You don't know about me without you have read a book by the name of The Adventures of Tom Sawyer, but that ain't no matter. So Huckleberry Finn starts his story. Picking up from roughly the end of Tom Sawyer, with the Widow Douglas not having much luck trying to "sivilize" Huck, the novel moves away from the trials of boyhood - and leaves Tom behind, mainly - to a journey down the Mississippi, where Huck and Jim, a runaway slave, search for a little peace in a world of darkness and violence. Twain filled the book with a rogue's gallery of unforgettable characters: the scurrilous Duke and Dauphin; Huck's drunken father; the feuding Grangerfords and Shepherdson's; but the story belongs to Jim and Huck,"drifting down the big still river, laying on [their] backs looking up at the stars." My thoughts: My book club decided that we would read a classic last month and we choose Huck Finn. I was glad to have been given a purpose for rereading this book again - I had read it in high school and vaguely remembered it. I found it interesting that all five members of my book club unanimously agreed that the book was great until the last part - the part when Tom Sawyer appears. From there, the whole tone of the book changed, it seemed more juvenile. The grand plans that Tom was coming up with to free Jim were so convoluted and frustrating that I almost didn't want to continue reading. And then, to find out after all that, that Tom knew Jim was a free man was doubly frustrating. For the rest of the book, I think it not only is a great adventure story for both children and adults, but also a story about social injustice. It really hits home the point that we should all be tolerant of one another. There are many themes throughout the book, but the one that seems to appear repeatedly is that of one's conscience verses society. Huck struggles with this throughout, sometimes winning against society and sometimes society winning out against Huck. Are we ever truly free of society's influence? I enjoyed rereading this book and hope to have the chance to pick up some other classics sometime soon. First line: "Quiz me," Sadie said, straightening the row of cherry chocolate chip cookies she'd laid out on the platter. My thoughts: This is the fifth installment of Josi S. Kilpack's culinary mystery series and I found it delectable. Once again, Sadie is up to her amateur sleuthing - this time with her first paid job! She heads to Portland, Oregon and begins investigating the death of her client's father. She had been studying investigating habits back home and one of her first stops in Oregon is to Camera World, where she picks up a few "tools of the trade." Armed with her laptop, voice recorder, video recorder and lock-picking case, she starts looking into the case and finds that things are not what they appear to be. Sadie's quirkiness continues, which leads to many laugh-out-loud moments in the book. True-to-form, Sadie even finds time to add some delicious recipes to her growing collection. She asks the owner of a restaurant she ends up using for a meeting place for a recipe she has had a few times - Blackberry Crumble. This recipe just so happens to be included in the book, among many others, and I can't wait to try it! I found this book to be a fun and quick read and had me guessing the outcome of the investigation until the very end! I look forward to reading more about the adventures of Sadie in the next installment, Pumpkin Roll, which comes out later this year. About the author: Josi has combined her love of MOST things edible and her love of writing into the Sadie Hoffmiller Culinary Mystery series. Blackberry Crumble is the fifth book in what will be an eight book series. When Josi isn’t cooking or writing she’s trying to say ahead of her four children, hiding somewhere with a book in hand, or enjoying her backyard chickens. Josi and her family live in Willard, UT. For more information about Josi, you can visit her website or her blog. 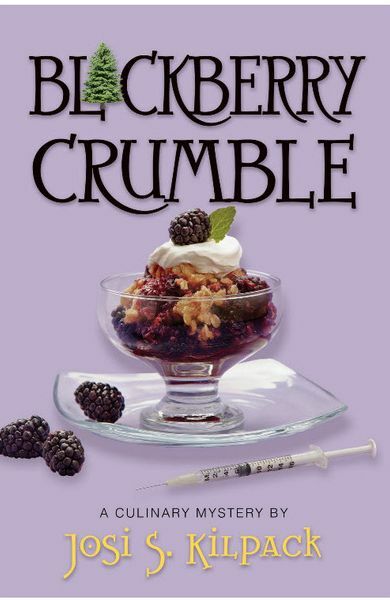 I received a complimentary copy of Blackberry Crumble by Josi S. Kilpack from Pump Up Your Book Promotion as part of the tour. First line: Some people lived in the real world and others lived in Brooklyn. From the inside cover: It's the summer of 1978, and Samantha Bonti is fifteen years old, half Jewish and half Italian, whose dreams of something more are bigger than the neighborhood girls' teased hair. She lives in Bensonhurst with her mother, Joan, a woman abandoned and scarred in a ruinous marriage, poisoned with cynicism, and shackled by addictions; and with her Grandmother Ruth, Samantha's loudest and most opinionated source of encouragement. As flawed as they are, they are family. Samantha's best friend is Janice Caputo, a girl who understands, as well as Samantha does, this close-knit community of ancestors and traditions that stand like roadblocks, this insular overcrowded little world of controlling mobsters who mold their women like Jell-O; and of the wannabes, the charismatic young guys who are willing to engage in anything illegal to get a shot at playing with the big boys. Yes, Samantha has something Janice doesn't - a desire to become a writer and to escape the destiny that is assumed for all of them in the outer reaches of Bensonhurst. And it's to be had just across the Brooklyn Bridge. Older than Samantha, Tony is a blond-haired, blue-eyed, half-Sicilian, half-Dutch mobster wannabe. A Bensonhurst Adonis. Taken in by his adoring attention, and empathetic to Tony's own struggles with identity, Samantha is falling in love, even when she's warned never to ask imprudent questions of Tony's life. Even when her family and friends warn her to stay away. Even when Samantha knows she's too smart to fall this deep...but the last thing she wants is the first thing to happen. Unable to resist Tony's seductive charms, Samantha soon finds herself swallowed up by dangerous circumstances that threaten to jeopardize more than her dreams. Grandma Ruth's advice: Samantha had better write herself out of this story and into a new one, fast. Told from the adult perspective, this is a powerful, true-to-life novel of leaving the past to history and the future to fate - of restoring hope where there was none, and reaching for dreams in an inspiring promise of paradise called Manhattan. My thoughts: This was a very heartfelt, poignant look at a young woman on the brink of adulthood, trying to improve her lot in life by following her dreams. My absolute favorite quote from this book is the advice that Grandma Ruth gives to Samantha: "Write yourself out of this story and into a better one." This, I felt, was the driving force behind Samantha as she works to achieve her dreams. Samantha deals with some heavy issues, such as poverty, crime, drug abuse, and abusive relationships, in her daily life. I think anyone who reads this will find themselves alternately uplifted and heartbroken by the romance and tragedy that define Samantha. I loved how Suzanne Corso interjected lines from songs that reflect the happenings of the story and Samantha's feelings of those happenings. The story had a quick pace and I think the use of Brooklynese enhanced the dialogues in the story. This book mirrors experiences of Suzanne Corso and I give her a lot of kudos for being able to tell such a personal story. This was a great debut novel and I look forward to reading the sequel to this story, which Suzanne Corso is currently working on. I received a complimentary copy of Brooklyn Story by Suzanne Corso from Gallery Books to review.